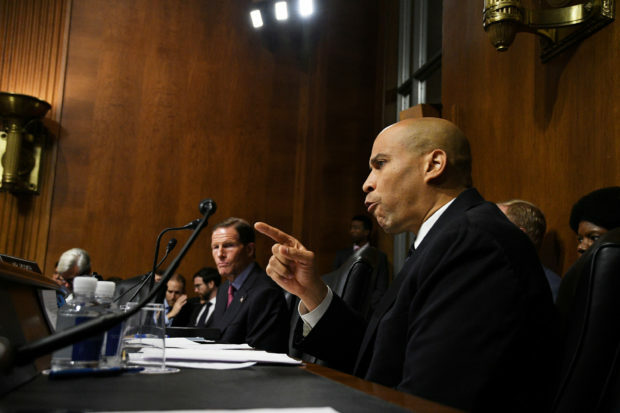 Fox News host Laura Ingraham asked Monday night if Democratic New Jersey Sen. Cory Booker still feels the same way about believing “all victims” after he was accused of male-on-male sexual assault. An anonymous homosexual man posted a letter on Twitter over the weekend that claimed Booker had sexually assaulted him in a bathroom sometime in 2014. Ingraham said the allegation was “a smear,” but suggested so too were the sexual misconduct accusations leveled against Supreme Court Justice Brett Kavanaugh prior and during his appearance at his Senate confirmation hearing.